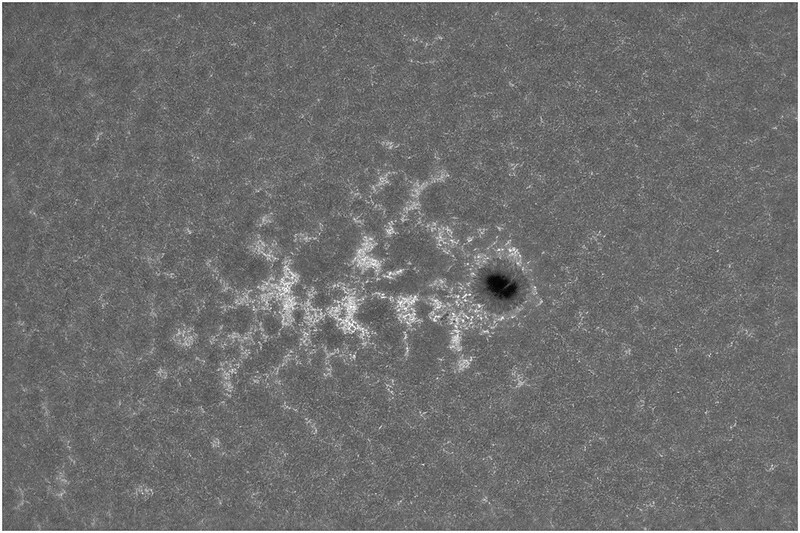 AR2738 in CaK - SolarChat! But I only succeeded in taking one (1) AVI when the clouds rolled in.... 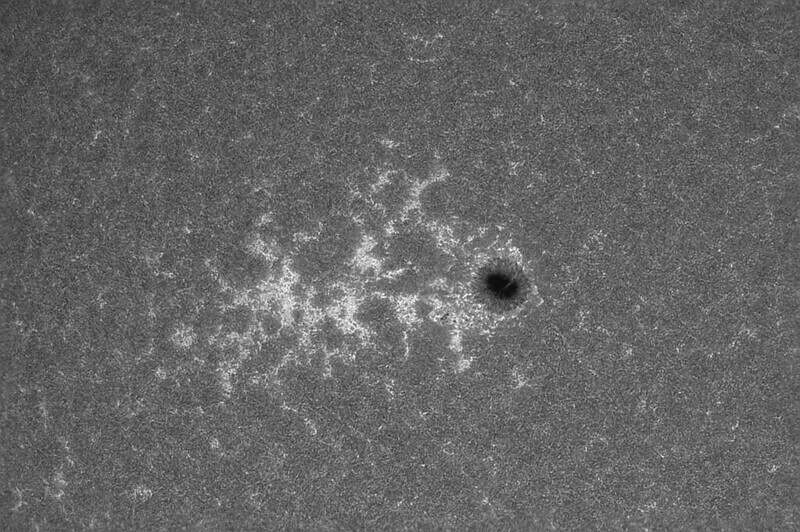 So here is AR2738 in CaK. The picture is clearly undersampled, so I tried 1,5x Drizzle in AS!3. I kind of like the Drizzle version. Very nice images, Bart ! They came out well Bart. What do you think an ideal focal ratio with this scope and camera setup would be? Hard to say Mark, but I think somewhere between f/14 and f/16. Nice images, Bart. The drizzle version looks great. Lovely detail in the image Bart, and the drizzle version certainly looks the best to me. Super image despite your session being cut short. 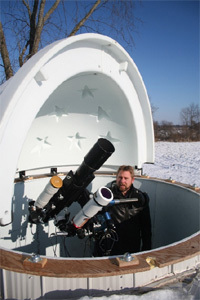 Are you using the Skywatcher Evostar scope? If so how do you think it compares with other scopes you have used for Cak? No, it is an old Celestron 100mm F/9 ED. It is way better than the 150mm f/8 Skywatcher achromat. I prefer the one without drizzle. Inverse granulation is lost in the drizzle version. You are right Christian, I did not notice it before you mentioned it. Should try and reprocess the drizzled version. Thanks! Bart.